Everyone in Bedford is familiar with graffiti in one way or another. For several years, property owners have had a hard time avoiding unwanted paint being sprayed across homes and businesses. This losing battle against graffiti art has even led the town to create legal painting areas outdoors and to encourage spray paint as an art medium at galleries. Despite being accepting of legal graffiti, Bedford is still facing off against vandalism. 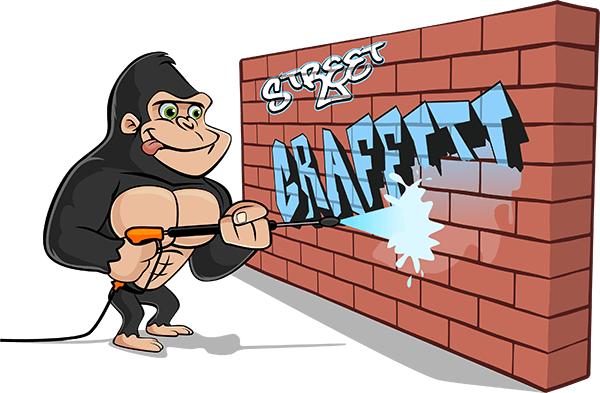 If you are at your wits end with graffiti, call a Gorilla for your Bedford graffiti removal. Graffiti designs come in many shapes and sizes. 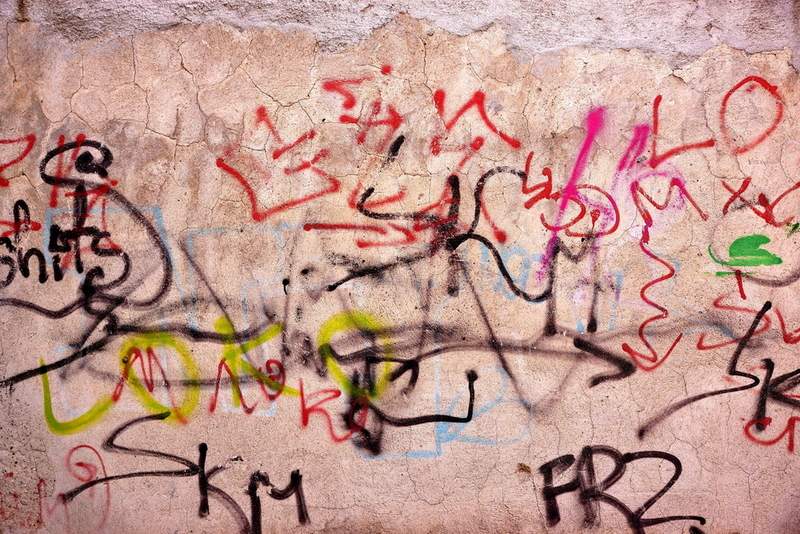 Some of these are simple tags or signatures while others can be large scale designs. No matter what size of stain you are dealing with, it can always be made worse by way of improper removal techniques. Your Bedford graffiti removal should be thought of like a math equation. Stitching negative and positives together will not give you the results that you want without looking at the bigger picture. For instance, some aerosol paints are now made to water soluble and are easy to remove with gentle cleaners. These cleaners won’t have any effect on more durable paint types. Finding out what works where takes a lot of time and a lot of effort, but our Gorillas have enough experience to go around! By sectioning off the affected areas around your property, our Gorillas are sure to contain paint stains. Eco-friendly cleaning solutions are gentle on building materials while either loosening paint or removing it all together. If there is any shadowing left behind, our Gorillas are able to break out the big guns with pressure washers or even by matching paint. In addition to being inconvenient, graffiti can be downright offensive. If you are dealing with offensive language or designs, our Gorillas will try to have it removed in the same day.